I won't lie I dreaded the day my daughter Tessa (now 5) would move out of the toddler section and into the girls. The move from the infant section to toddlers wasn't quite as painful. Most brands/designers make the transition painless going from infants to toddlers. They keep fabrics and patterns similar just update the cut/shape to work for a child who is more active. However, the jump from toddler to girls forces you to dress your 5 year old in the same style outfits as a girl who is 8 and up. My husband and I have had heated conversations on this topic and both of us agree it's not fair for our daughter to be accelerated into preteen status. I missed the simple and sweet styles of the Toddler section, but I wasn't about to pick up a sowing machine and start making her clothes. Alice and Ames IG: @aliceandames Arizona based and the perfect simple ballet style dresses that give the best twirl! 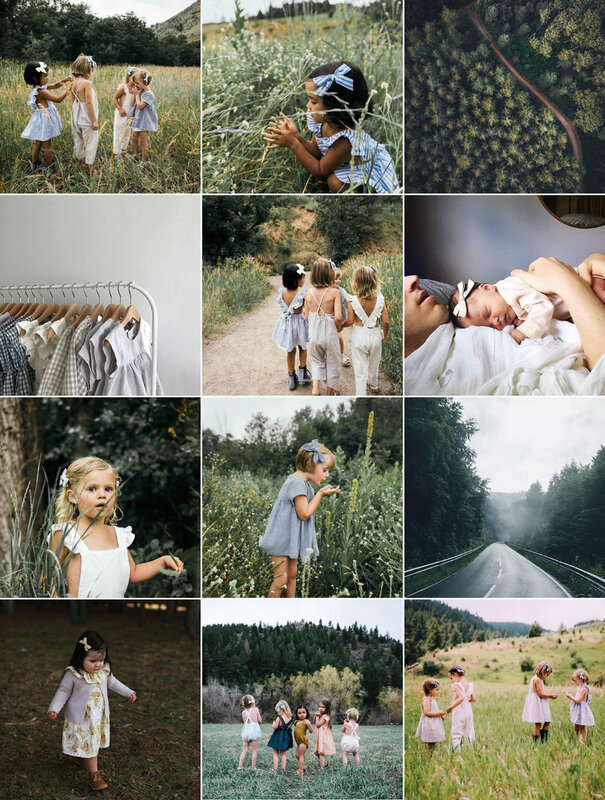 Soor Ploom IG: @soor_ploom this shop uses the lushest, simplest fabrics and their design is modern yet vintage. Remie Girl IG: @remie.girl From twirl dresses to the cutest little day dresses with the best pockets done in the softest jersey knit, this is a favorite! Mabo IG: @mabokids Very simplistic and classic garments for girls, boys, moms AND stuff for the home home! I especially love her basics line! Wunderkin Co. IG: @wunderkin_co the most gorgeous hair bows done in vintage fabrics and Collegien knee socks and tights! Piper Reece Handmade IG: @piper.reece.handmade another adorable bow company with the sweetest owner to boot! Raine and Skye IG: @raineandskye Heirloom Leather Accessories handmade in California. Rosemary's bags are perfect for toddlers and younger girls to take along on their adventures! I think some of the bigger named stores are starting to notice the trend of people moving more toward smaller shops and I've noticed Gap (always a favorite) starting to carry some more simple reserved styles in their girls section; so I'm confident other brands will catch on too. What are some of your favorite shops? Have you felt this way about girls’ clothes before?